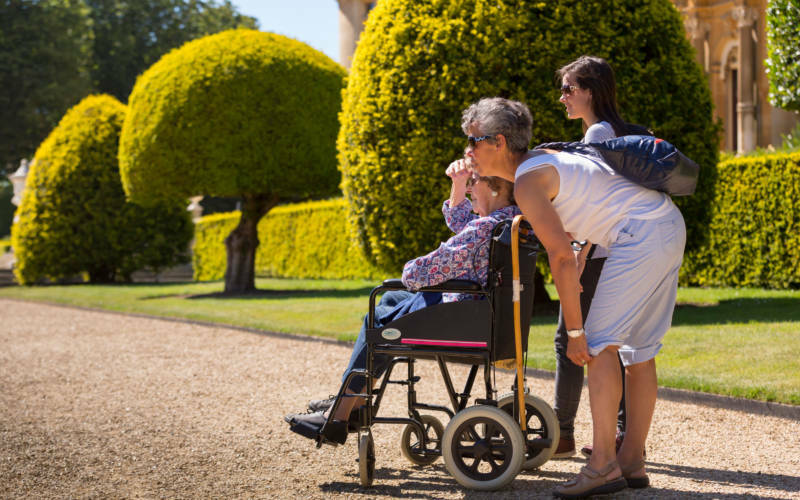 At Waddesdon Manor we are committed to providing an accessible attraction for all, and try to ensure everyone can enjoy their visit while with us. 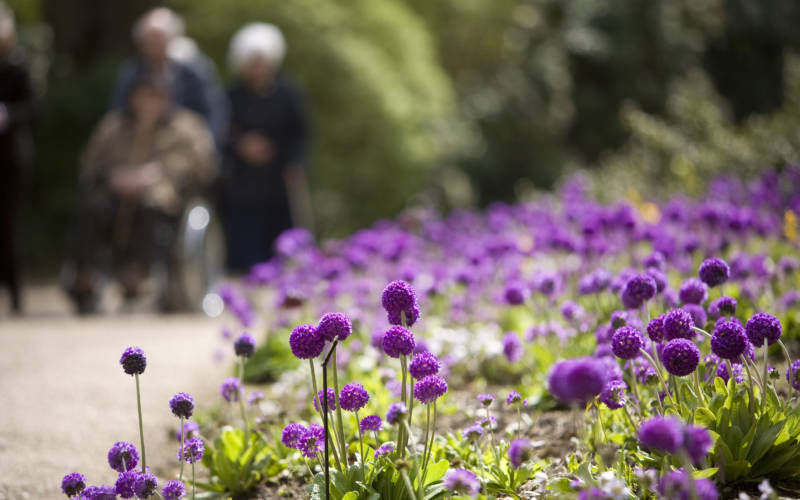 Accompanying Carers receive free entry. For any additional support for your visit please email [email protected] or call us on 01296 820414. 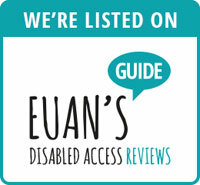 For full accessibility details please see our downloadable guides below. 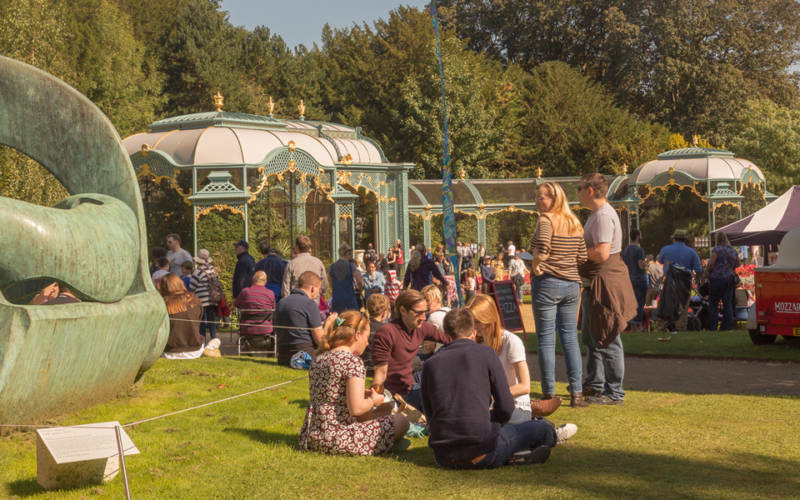 At our Welcome Pavilion you can purchase tickets and have your National Trust membership cards scanned. Waddesdon staff are on hand if you require help with this process. Accompanying Carers receive free entry. 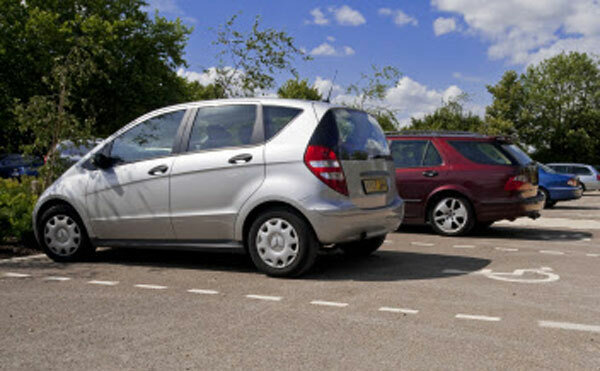 The 1,000 space visitor car park has dedicated places for Blue Badge Holders, and also ‘limited mobility’ spaces. Bench seating is available at the Welcome Pavilion if you need to take a seat while waiting for the bus. There is an accessible toilet on arrival at the Welcome Pavilion, and dedicated accessible toilets at both the Stables and Manor. We have a Changing Places facility on the ground floor of the Manor, accessible through the Manor Shop. From January to March, access to the facility can be arranged upon request. Please notify a member of staff of your requirement upon arrival so we can organise this for you. Please note: if you have a timed ticket for the house we suggest you allow at least 20 minutes for parking and bus transfer prior to your timed entry. We’ve a regular free shuttle bus service which is fully accessible. Each bus has ramps and dedicated spaces for up to two wheelchairs. Buses run every five minutes from the car park to the North Fountain, returning via the Stables and back to the car park. The House is a short walk of 100m (on a flat surfaced path, with gravel in front of the house) from the North Fountain. If you’re unable to make this walk, a smaller dedicated mobility bus can transfer you to the front of the House. 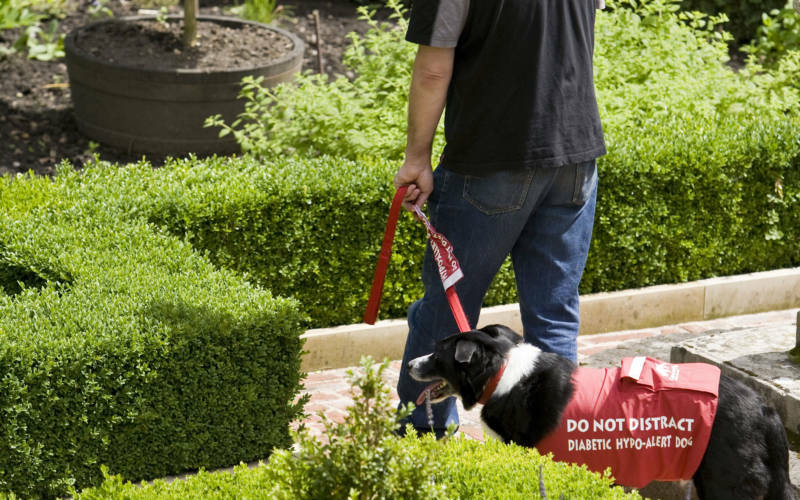 Assistance dogs are allowed on the shuttle buses. 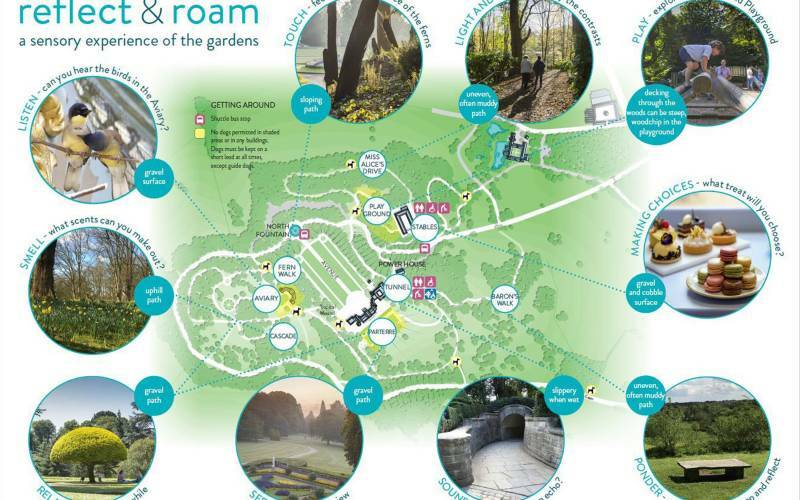 Please note: we have a woodchip pathway which takes you to and from the car park and because of the surface it is not suitable for all wheelchairs or mobility scooters. 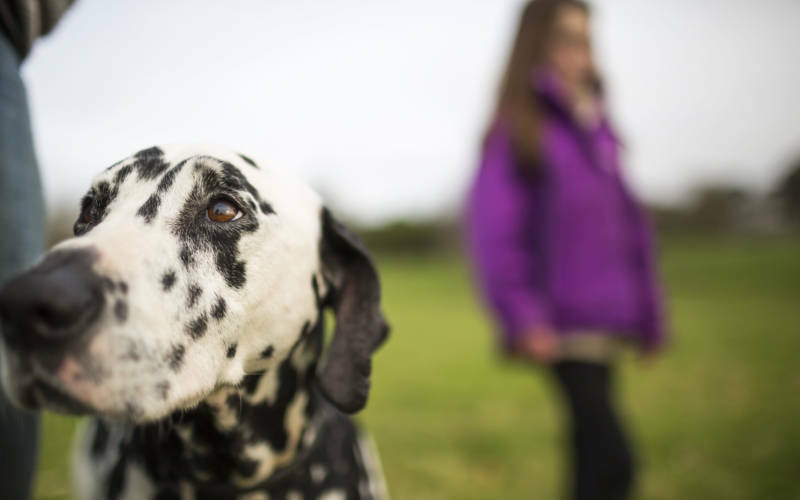 Assistance dogs are welcomed in the grounds, house, shops and catering outlets, and on shuttle buses. Dog water bowls can be found at the Stables, but please ask a member of staff if your dog needs water in other areas of the grounds. Waste bins are located in the gardens. 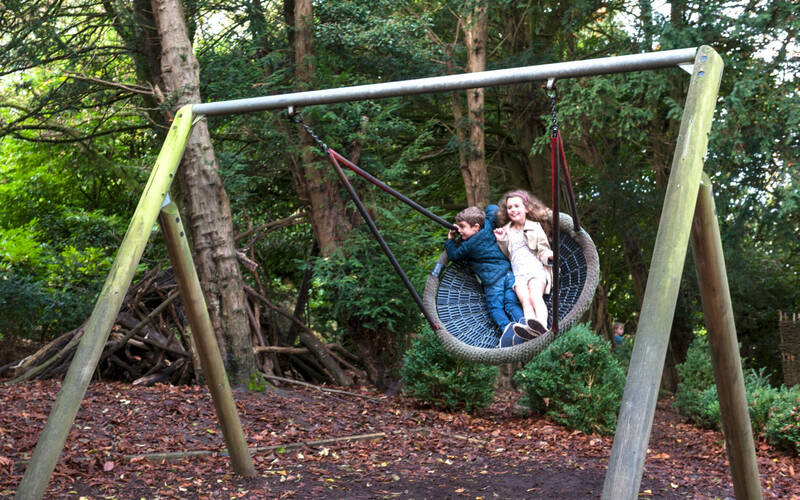 Our Woodland playground winds through the trees making the most of nature. Take a sensory journey and play in a safe environment. Feel the bark on trees, listen to the wind rustling leaves, birds chattering and smell different scents coming from the surrounding plants. Little ones can play safely at the bottom of the hill, on seesaws, swings and soft bark. At the top is our bird’s nest swing, for those who need more gentle play. Access is included in your grounds ticket. 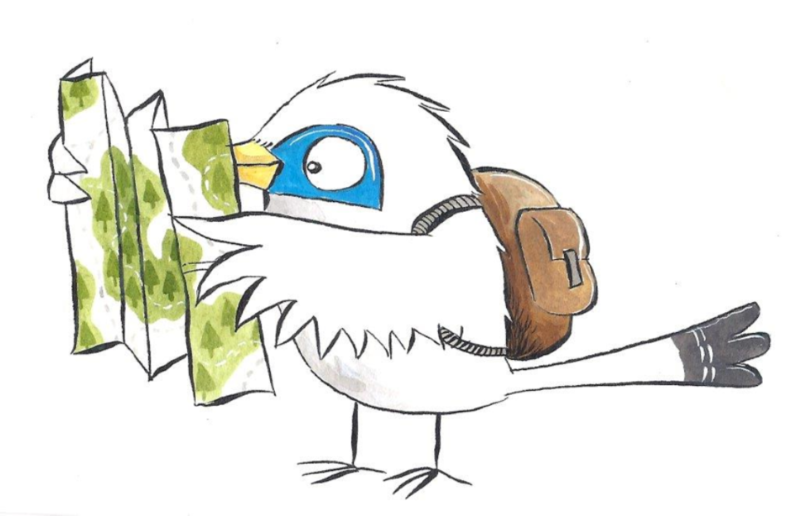 It’s difficult to disconnect from the hustle and bustle of modern life, and even when visiting beautiful places they can still be noisy and busy. Our designated Silent Space is on the half-moon path, just beyond the Aviary. Take a seat at one of the benches and enjoy the calm. 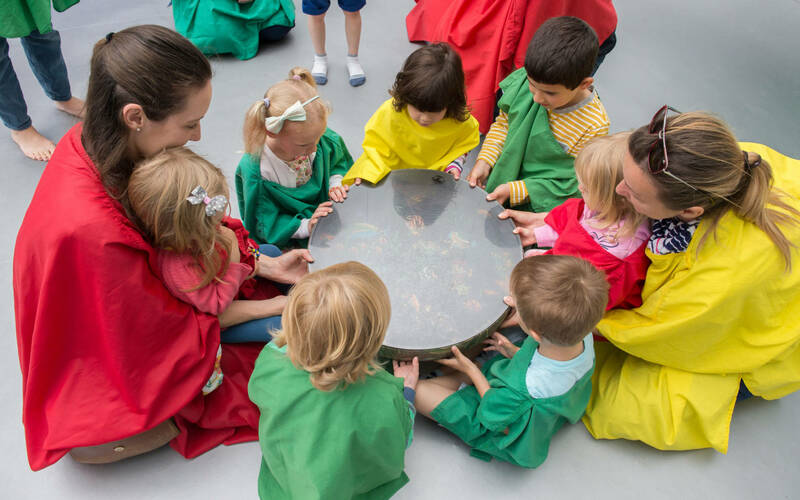 Something that can be enjoyed by everyone, the sensory map explores nature through senses such as touch, smell, sound and sight. 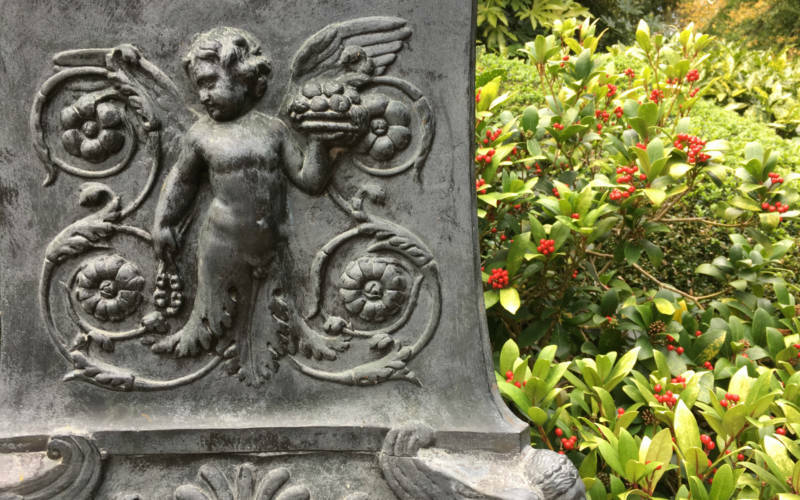 The map unlocks Waddesdon’s landscapes and corners of the grounds that you may not have previously explored using Widgit symbols to make it visually accessible for all. Most areas of the house are accessible, however, there’s limited access to the Prints and Drawings Rooms, and Wine Cellars. Our historic lift, which serves the first floor, is quite limited on space and not all scooters or wheelchairs can be accommodated. 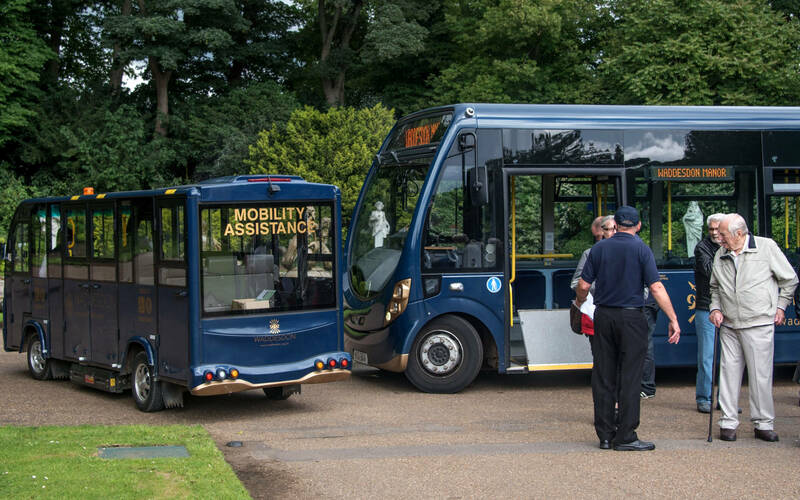 We’ll be able to advise on whether your mobility aid will fit in the lift at the point of admission to the House. On occasion we may request that a mobility scooter or wheelchair user transfer into one of our house wheelchairs upon arrival at the house entrance. 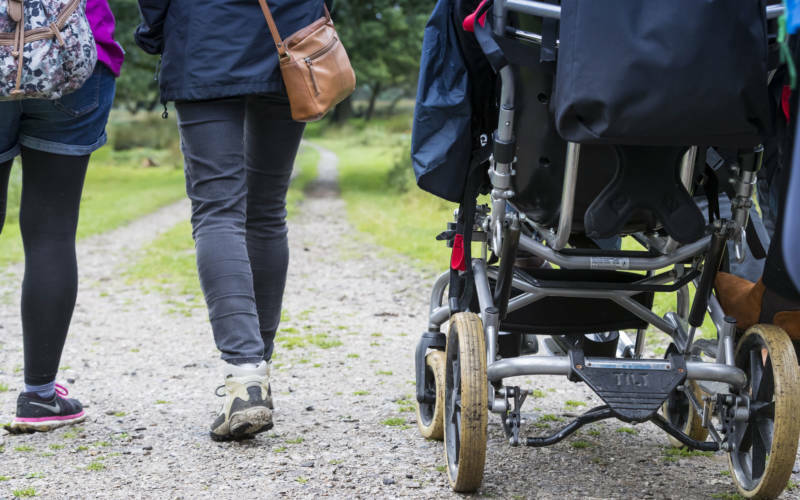 This is usually because your mobility scooter or wheelchair is too large to accommodate, or the wheels may be muddy during the winter months. However, if for any reason this isn’t possible, you’re welcome to use your own scooter or wheelchair on the ground floor. We have four wheelchairs suitable for use inside the house which are located in the main entrance and are available on a first-come, first-served basis. For safety reasons, we can only allow two wheelchairs or mobility aids on any floor at the same time and therefore on busy days there may be some waiting time during your visit. We have an emergency evacuation procedure in place for wheelchair users and those with problems navigating stairs when inside the house. Chairs are available in most rooms, please ask a member of staff to point them out if needed. Some of the walkways through the rooms are quite narrow, and to avoid congestion we don’t allow carry chairs or seat sticks to be used inside the house. We offer the opportunity to handle collection objects with different materials and textures. Sessions are held at 1.30pm, Wed-Sun, in the Ante Room. Alternatively you can arrange a session by prior appointment, please call 01296 820414 if you would like to arrange one. 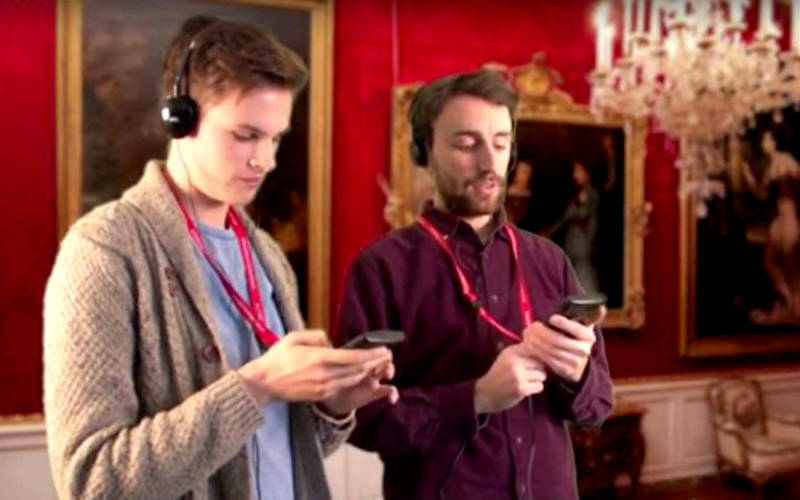 We have an induction loop installed in the Powerhouse so you can enjoy our informative films about the Rothschild family, the Manor and wine. 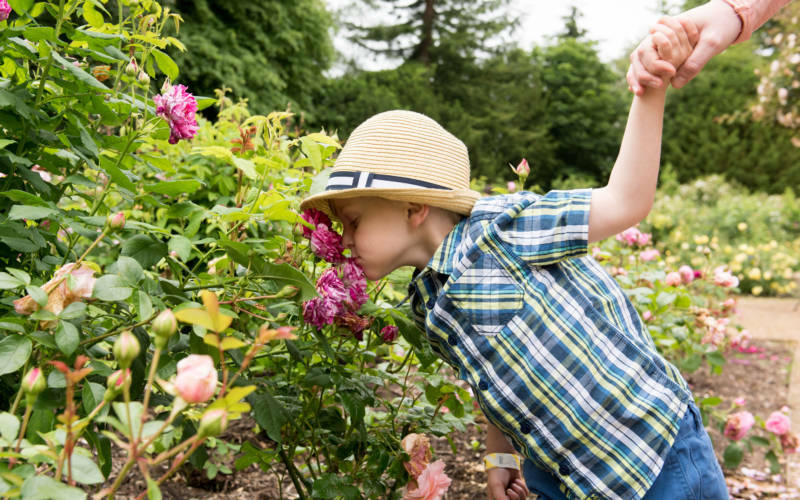 The rose garden is located just beyond the aviary, and is a great place for those with hearing or visual impairment. You can stimulate your senses of sound, touch and smell. Filled with exotic birds our Aviary is a must-see on your visit. Beautifully restored it now takes an important role in the conservation and breeding of endangered species. 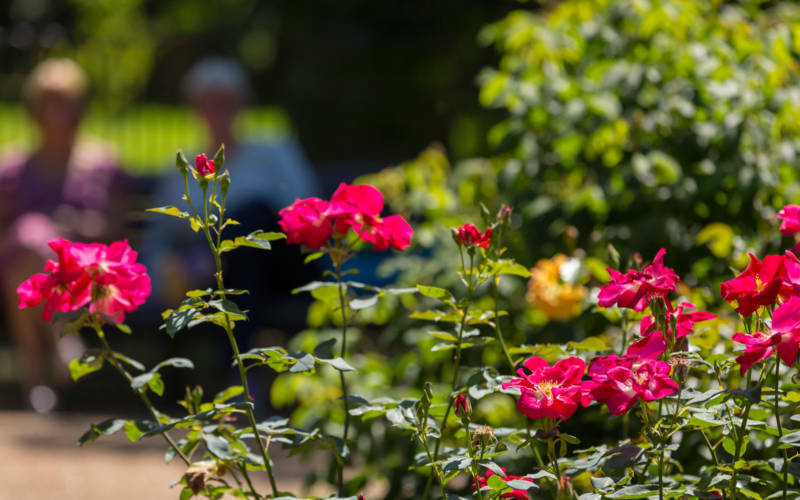 Listen to the sound of birdsong as you enjoy this area of the grounds. 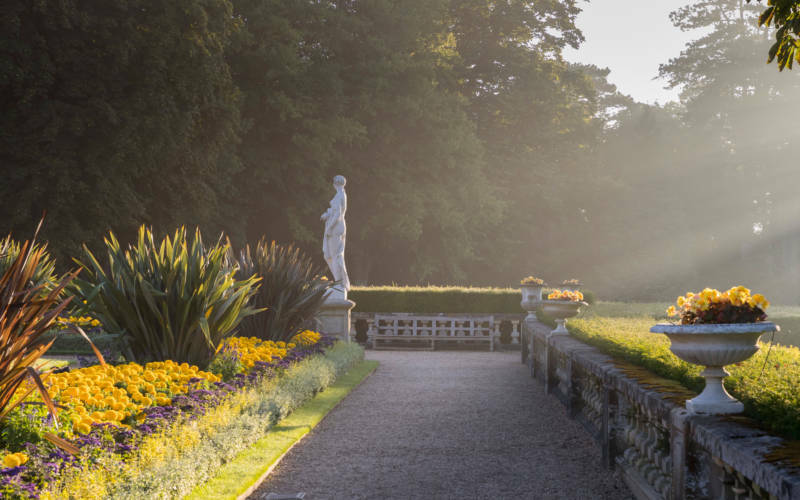 Download our Waddesdon Checklist in advance of your visit. Cut out pictures of what you would like to see or do and then fill in your checklist once you have done them. 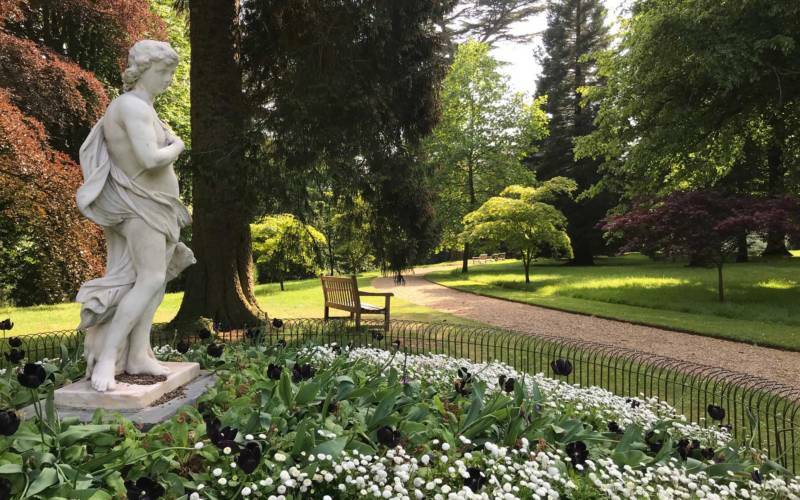 Read reviews and share your own experience of your day out at Waddesdon Manor. We’re committed to providing a website that adheres to strict web accessibility standards and is accessible to the widest possible audience.